Ernie Jankowski’s Cub Scout Pack 609 from Malden (featured in the cover photo) has joined us more than once. Read more about what this event looks like in Rich’s post from last year. COASTSWEEP is a state program affiliated with the International Coastal Clean-up. 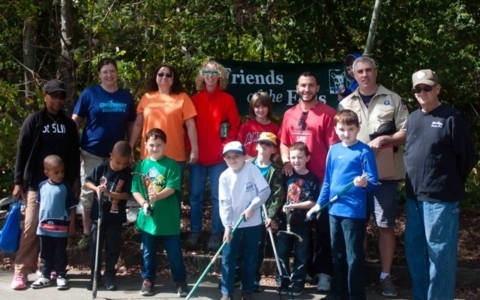 We all know simply picking up trash in our public lands helps the environment, beautifies our parks, and helps prevent our wildlife from becoming entangled. But the data collection aspect COASTSWEEP includes is helpful as well. It helps scientists figure out exactly how the specific items that are most likely to be found will impact our natural world. It can help people plot and plan various “best practices” clean-up approaches when they know exactly what they are apt to be dealing with. It can help with discussions with companies (if the items found are branded) when it comes to working together on collection programs or designing ways to make their products more biodegradable or sustainable. Plus, it is just fascinating! 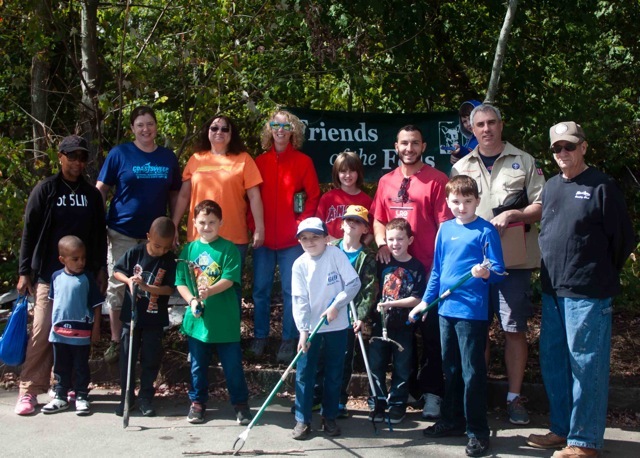 We had over 60 Volunteers come out last weekend. The crowd included two cub scout troops, the Tufts ATO fraternity, and many individuals. Cub Scouts from Marc Garrigus’s Pack 306 from Arlington were not afraid to dive right in and work hard. Check out those dirty pants and gloves as they sort their finds. 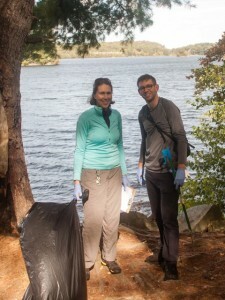 We were able to cover about the same area as last year, and, interestingly, found about the same amount of trash and a similar spread of commonly found items. This means we could all do better picking up after ourselves, but we’re also relieved to see the numbers weren’t higher. Some of the more unusual items found include a pike pedal, a Silly String spray can, a stuffed animal, headphones, and a Bugs Bunny Band-aid. One commonly found item–a glass bottle–could not be picked up because it had become intertwined in some tree roots. This illustrates how refuse can affect living things, but also shows the power and strength of nature, if in a small way. 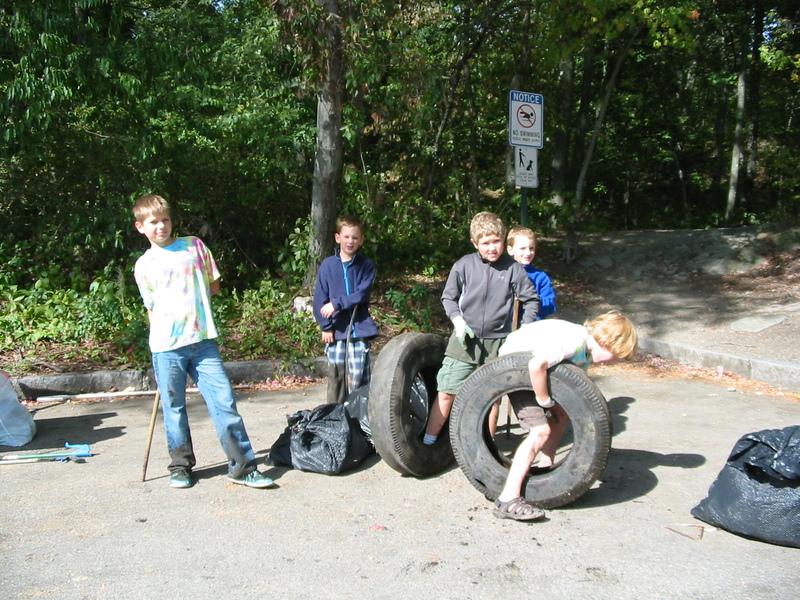 Our youth volunteers had an especially great time and “only lost one shoe” temporarily in the muck at the shoreline. It sounds like one group had a fun and creative approach while working hard: they pretended one man had left ALL the trash they’d found all by himself in one go, and made up goofy stories about what kinds of odd shenanigans he must’ve been getting into with Doritos, toilet paper, fishing line, the Silly String, 31 cups of coffee and more. Well, the adults certainly seem to be having a great time. 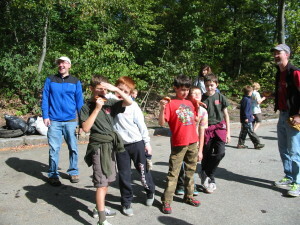 By all reports, the kids did too, but first it is time to re-energize with snacks after all that work! We have a couple of large-scale drop-in service events like this a year. Stay tuned for announcements about the spring one when the time comes. They end up being a convenient time for groups to schedule service events and get their volunteer hours while bonding and giving back to the community. Some individuals just want to help out and meet like-minded folks. Other individuals use these events to get a sampling of what field service feels like before deciding to commit to our Trail Adopter program. Of course we have many other volunteer opportunities as well, both inside (office and desk work, planning, research) and out (we can set up field trips if you miss one of these biannual events). We can always use support with our wide variety of events and festivals. If you come up with an initiative of your own, we can often help with networking and hooking you up to the right connections, supplies, and support. There is no end to the ways you can help! If interested, fill out a sign-up form, e-mail friends@fells.org and consider following our social media feeds. We hope to see you around! 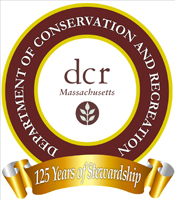 In anticipation of warmer weather ahead, MWRA would like to remind residents and their canine companions that swimming is not allowed at the High Fells Reservoir in Stoneham. If you were listening to NPR's "All things Considered" this past Thursday, you may have heard our chairman Bryan Hamlin discussing the changes that he has seen in the Fells as a result of climate change. Bryan was interviewed along with Elizabeth Farnsworth, senior research ecologist with the New England Wild Flower Society. In spite of the rainy weather, over 50 volunteers came out to the Fells on Saturday, April 26 to participate in Park Serve Day. 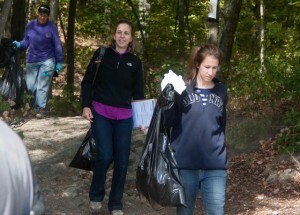 All in all it was quite the "spring cleaning" for the Fells!